← ‘A Manual for Creating Atheists’ Part 5.3: Is Boghossian authentic? The podcast can be found here (Episode 308). Piper first suggests that what makes us responsible for our actions is that all people have some knowledge of God (Romans 1) and therefore everyone who has this knowledge has some responsibility for what they do with that knowledge. 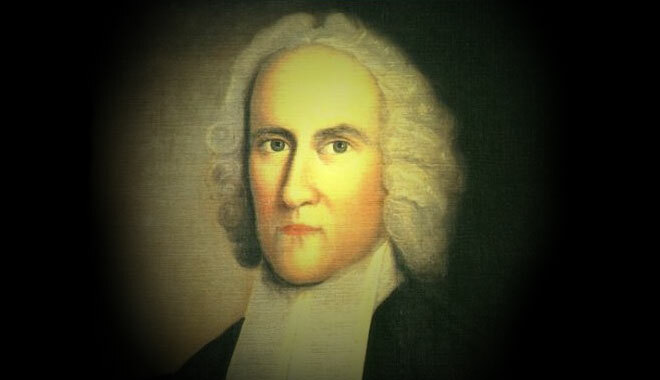 Piper suggests that in order to understand the answer to this question we need to understand a distinction made by Jonathan Edwards. He says that Edwards talks about natural and moral inability. Natural inability is an inability where you cannot do what you most deeply want to do. Piper gives the analogy of a quadriplegic lying on the floor who wants to get up but is physically unable to. This natural inability means someone would not be accountable for their actions. Moral inability, according to Piper, is where you cannot do other than what you do because what you do is what you most deeply want to do. So now the analogy becomes of a person lying on the floor who wants to lie on the floor and does not wish to get up. This moral inability is something for which people are accountable according to Piper. Have you noticed the gobbledygook yet? This supposed distinction (like many other technical distinctions made in scholastic Calvinism) does not even begin to answer the problem. It just pushes the problem back one more step. On Piper’s view of divine determinism God has also determined the characters and the moral inability of people. They do not determine these characteristics for themselves otherwise this would be to give them some moral freedom and Piper will not allow for that. So how can people be accountable for having the desires they have if these desires were causally determined by someone other than the person themselves? The question still stands. How can this possibly make someone responsible for rejecting God? My other question would be why Piper so frequently defers to technical distinctions which don’t solve the problem at all and analogies which are not analogous. This entry was posted in Calvinism, Free Will, Theology and tagged Calvinism, John Piper, Jonathan Edwards. Bookmark the permalink. I thought it curious in Piper’s writing (in his book A Godward Heart) that he tended to paint Arminians (or Remonstrants, if you prefer) as being determinists and Calvinists as believing in free will, which struck me as a curiously backwards reasoning. I love the Muppet bit too :D.
That does sound most curious. I’ll have to go read that now. Thanks. “Nothing in this Calvinism-abominating book came close to keeping me from embracing the glorious sovereignty of God. On the contrary, the poetic brightness of the book, along with the works of C.S. Lewis, awakened in me an exuberance about the strangeness of all things, which in the end made me able to embrace the imponderable paradoxes of God’s decisive control over all things and the total justice of his holding us accountable. One of the reasons Calvinism is stirring today is that it takes both truth and mystery seriously. 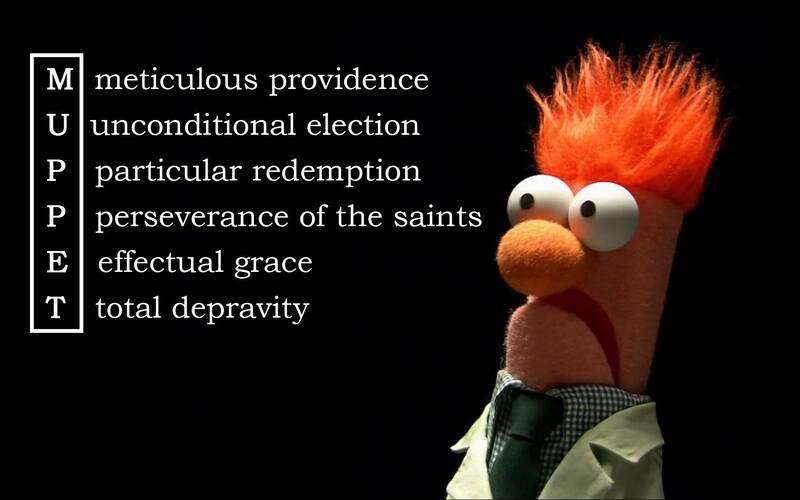 It’s a singing, poetry-writing, running-through-the-fields Calvinism. It’s the Arminians who are the rationalists. Arminianism trumps biblical sentences with metaphysics. God can’t control all things and hold us responsible. God can’t choose some and love all. Why? Metaphysics. Out with mystery! It just can’t be. I found his statements highly revealing, to say the least, and also very clearly gobbledygook, as you say. Yes this statement is revealing. I have been accused of ‘rationalism’ myself by some Calvinists so I wonder if they were borrowing from Piper? I always laugh at the charge that Arminians are using metaphysics and philosophy. Are Calvinists unaware of how many volumes of Calvinist systematic theologies are out there? Then when something makes absolutely no sense whatsoever it’s considered virtuous to claim it’s a mystery. These are the two primary ways modern Calvinists attempt to shut down the conversation at this point. They will happily use all the philosophy and metaphysics going until they have tied themselves in knots and then throw up their hands and proclaim it’s a mystery! I think that is one of the most disingenuous behaviours of the movement. Along with their tendency to hide behind obscure language, it seriously damages their reputation in my opinion. Agreed, and also agreed that those Calvinists that would call you “rationalists” for calling them on their contraditions would be following Piper. I figure you would appreciate the quote, though. Wouldn’t Libertarian Free Will be a kind of mystery though? I defend it, and I find that it’s inscrutable to some degree. I don’t really have a problem with some things being a mystery, I guess is what I’m saying. Perhaps. I’m not sure what you mean by “mystery” though? If you mean that we cannot fully comprehend it then I’m fine with that but there are plenty of rational things which cannot be fully understood. The problem with theistic determinism is not that it cannot be understood. It can be understood and what we understand it to be is logically contradictory. I would say that is the difference between holding to libertarian free will and moral responsibility and what Piper is proposing. I’d say we’re in agreement then. It seems to me that the kind of determinism entailed by Calvinism leaves little to no room for the kind of mystery that I’m talking about. Yes I would agree with you Stuart. Unfortunately, some Calvinists are teaching that logical inconsistencies are mysteries and that is part of the problem. Is there scholarly work on this matter, instead of just popular work? It strikes me that in the peer-reviewed domain, folks would be less likely to try and get away with just sweeping the dust under the rug. Well I’m not aware of anything published in academic philosophy journals from this perspective. In my experience this kind of stuff only makes it into Reformed Philosophy Journals. Though Piper is a popularist writer it’s important to note that, within Reformed circles, he is considered to be one of their brightest scholars and so taking him on would not be considered to be picking on low hanging fruit. No doubt; I was just hoping that there’d be some academic treatment of this topic. Without that, we seem kind of “stuck”, doomed to repeat this argument kind of like Groundhog Day. Listening, or reading Piper is like listening to fingernails on a chalkboard. He uses all the same sort of flowery, adjectives- laden talk that the devil is himself capable of. But does he hand over Christ? Rarely. And on the rare occasion that he does, he almost always rips Him right back out of your hands with what you now ought be doing, or feeling. There’s no gospel in that. It’s just law. One might as well just remain a Catholic…or a Baptist. I agree with your analogy. I am looking to read his book on theodicy later this month and I can already anticipate the pain (excuse the pun). Oh yes he really loves using analogies (or perhaps it should be said disanalogies). It’s a sneaky way of disguising all the problems from most readers who tend to struggle to spot bad analogies. If he was plain in his speech he would be taken far less seriously. Have you heard Jerry Walls on him? He takes him to pieces. I admit he’s a Christian and a godly one too. I’d bet he out-prays me. But I don’t think that’s any insurance policy against poor theology and that is what I think he suffers from. Theistic determinism should have nothing to do with mainstream Christianity.